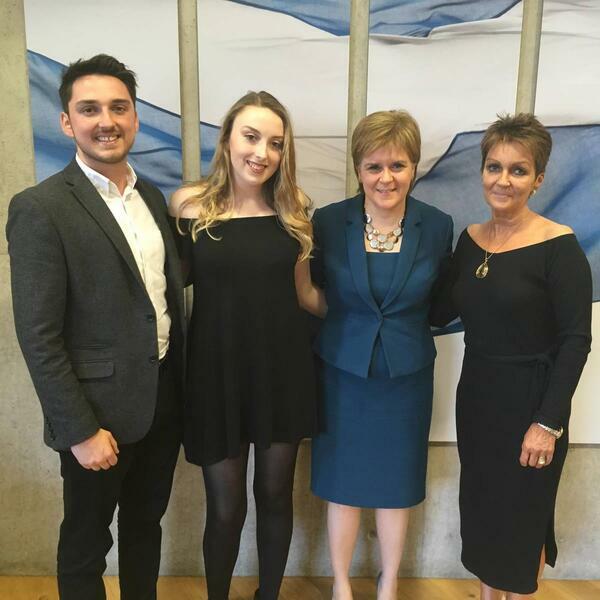 First Minister Nicola Sturgeon has met with the family of a Dunblane shooting victim after they visited Florida to support relatives of the Parkland tragedy. Alison Crozier and her son Jack - who lost their five-year-old daughter and sister Emma in the 1996 primary school massacre, in which 16 children and their teacher were killed - were invited to Holyrood on Wednesday. The pair travelled to the US with radio station LBC in March where they spoke about the impact of Emma's death, and the successful Snowdrop campaign which led to a ban on private handgun ownership in the UK. Students at Marjory Stoneman Douglas School have demanded tougher gun laws in the US after 17 people were killed in the shooting on February 14.